Thanksgiving is a cultural holiday which signifies peace, thankfulness, and the beginning of the festive season. It was in the year1789, President George Washington declared a day in late November as one for public thanksgiving and prayer. However, it was not until 1863 (during the Civil War) that Thanksgiving was recognized as a federal holiday by President Abraham Lincoln to be celebrated by everyone in the country. There is a lot of trust, happiness, and love that gets shared around particularly in this season. The act of gifting one and another plays a major role in spreading joy across millions. Apart from the gifts, arguably the vital ingredient of the day, the holiday is the cherished time of year when people in the country come together to celebrate what they are thankful for – either with friends or family. Besides that, Thanksgiving kicks off the Black Friday shopping extravaganza early online at just about every major retailer in the nation. On this Thanksgiving Day – Thursday, 22 November 2018 – the sales at bricks-and-mortar stores are scheduled to start by 6 p.m. in Walmart and 5 p.m. in Best Buy and Target. Yup, that’s much earlier than many families even serve up their pumpkin pie! However, this year numerous retailers like BJ’s Wholesale Club, Sam’s Club, and Costco have decided to remain closed on the Thanksgiving. Black Friday earned its nickname due to the reason it was viewed as the day of the year retailers earned profitability or were “in the black.” Approximately a decade ago, sales gradually began creeping into Thanksgiving and by 2011, every major retailer was open on the fourth Thursday in November. This year, it is noticed that despite the fact of public outcry and shoppers warning to boycott, the opening times have moved earlier. With so much happening in the background, Thanksgiving opens the profiting doors for online shopping websites too. Notorious online scammers, fraudsters, and criminals are waiting out there to grab their share illegally. There are a few things that you will need to do to steer clear from such menace during this Thanksgiving season. Adhere to the below said tips to escape from the online dangers. The first and foremost thing to remember is to stay safe online, look for a small lock icon in the URL and an extra “s” for safety (https the extra “s” is for secure). Be precautious and don’t fall a prey for look-alike websites that mimic famous brands. That’s right, use the credit card instead of your debit card for online buying, as it has more fraud protection than a debit card. Make sure your anti-virus software is up-to-date and avoid clicking on links in unsolicited email and social media messages. Try downloading Comodo Free Antivirus. The Comodo Antivirus Software consists of Multi-layered levels of malware removal and protection to keep your system safe. Most of us today use mobile devices to shop online, it’s vital to have a secure device in place to steer clear of the dangers. Make sure that the updated version or the latest one is in control to ward off all attacks. If you are downloading the apps be sure all apps have appropriate access to your information. During the Thanksgiving season – scammers will be out in full force since plenty of promotional emails will be sent during the holidays. At all costs avoid clicking on those links from senders you don’t recognize. Simply “hover” the mouse over links without clicking to check if the address is really taking you to where it says it is. Public Wi-Fi is vulnerable to online fraudsters who aim at stealing the personal information. When accessing public WiFi in stores or restaurants, do not use apps especially the banking apps that contain your sensitive personal data. Black Friday is well-recognized for “door busting” sales, this is the time when the online fraudsters target innocent netizens. When the unauthorized user gains access to your computer systems, email accounts or websites – they may try implanting viruses and other malicious software or malware, to harvest on your personal information or to damage data or to make systems vulnerable to other threats. It is recommended to install the Comodo free antivirus software and stay safe from all kinds of online attacks. Try downloading now. 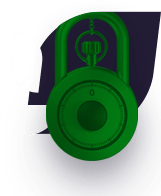 As for Website owners, install Comodo cWatch which is one of the leading website security software today that will effectively detect and remove web security threats – including DDoS attacks. It will also improve the speed of your website. 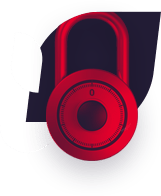 With a powerful cloud-based malware scanning and ‘Default Deny’ approach, Comodo cWatch will go beyond your expectations. Try cWatch today!